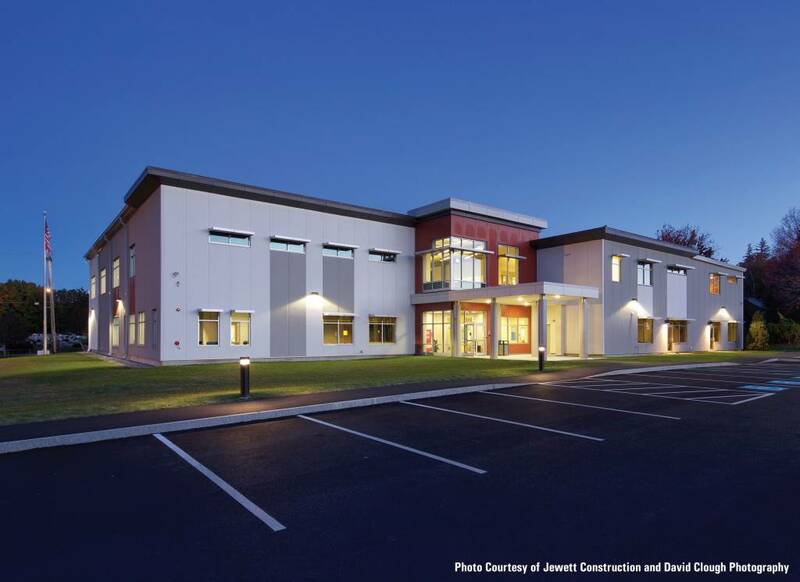 Installers used white, terra cotta, and light gray insulated metal panels (IMPs) at the Exeter, New Hampshire, YMCA facility. 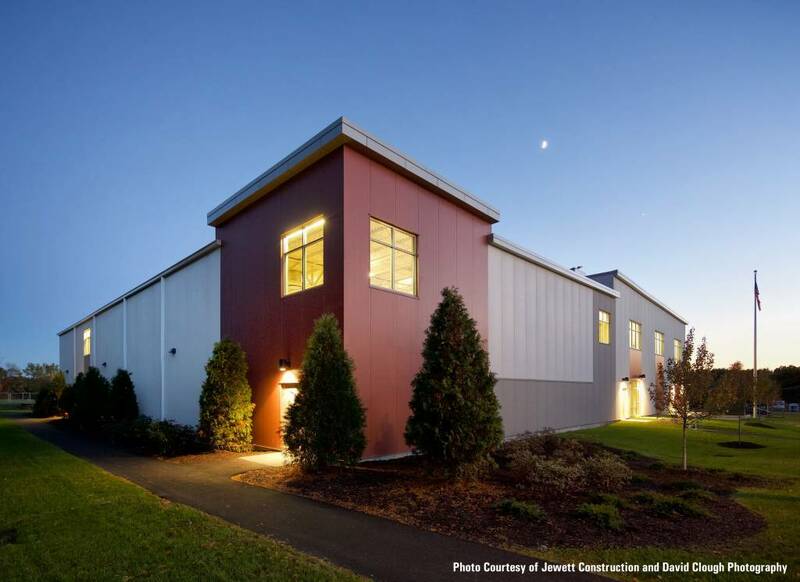 When selecting exterior panels for a new YMCA facility in Exeter, New Hampshire, specifiers wanted a system that was durable enough to protect the building against the region’s wet, cold winters, but also visually soft enough to make the center inviting for visitors. Additionally, as the facility was scheduled to open in April, much of the work would be done in the winter, without room for construction delays. The building’s IMPs were installed within four to five weeks. “We had some tough February snowstorms to deal with and some extremely cold days,” said Brian Hoey, president of Brookside Company, who oversaw construction. The facility owners wanted the 3066-m2 (33,000-sf) building, designed by Bruce Ronayne Hamilton Architects, to serve as a multigenerational health and wellness center for Exeter residents, including fitness studios, weight and cardio rooms, a gymnasium, indoor track, and a multipurpose community room. Looking for an exterior aesthetic that would reflect the building’s inclusive purpose, designers opted for a system of insulated metal panels (IMPs), which are available in a multitude of shades and styles and would allow for a versatile, unique style. Comprised of a palette of textured white, terra cotta, and stucco-style light gray panels, the facility’s envelope includes nearly 1579 m2 (17,000 sf) of IMPs. All of the profiles were covered with an architectural exterior coating, which created a masonry-like appearance. The single-component assembly accelerated the process and the installation was complete within four to five weeks.